Football is undoubtedly the most watched sports all over the world, it has a huge fan base as it offers the most exciting and thrilling feeling to the people worldwide. And If you are also one of the most die-hard fans of soccers like me then I know You must be looking for the best live football score apps in 2019 that provides you with the latest happenings in the football world. But The google play store is full of wonderful apps that let you know the live football score and it becomes a puzzlement task of which one to choose right? That's why we have reviewed the best live football score apps of 2019 to let you watch football with a seamless experience. WHY THIS APP - This app gives you minute by minute updates during Champions league, Premier League and international Football games. Not only this, the One football app provides you with the instant push notification about key events going on during the play such as red cards, goal alerts that you always want to hear about. This app to has 10 million+ downloads as of the date and the reason is its rich and classy interface and features that keep you updated with the live football scores and news. WHY THIS APP - If You don't want to lag behind others in the world of football then you can't miss installing this app in your mobile device. Does it provide you with live scores and matches stats, live text commentary, audio commentary in more than 10 languages and the best? It covers over 200 competitions- Premier League, La Liga, Serie A, Bundesliga, Ligue 1, MLS, Champions League, Liga MX and much more. WHY THIS APP - You can earn points by predicting matches that would be shown on your profile, the organization has added a "TV schedule" that will help you to check which match is shown on which channel. Want more? 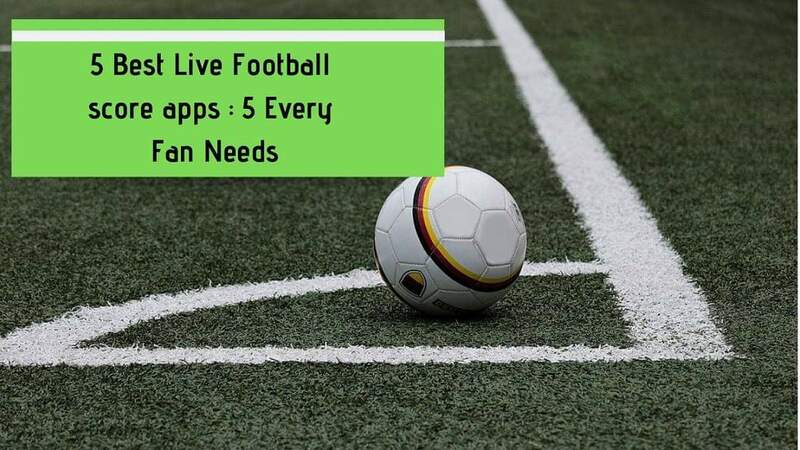 This app covers over 400 leagues including top women's football, live scores with personal watchlist and also push notifications you need every minute. With Over 261k+ reviews and 10 million+ downloads, Soccer 24 is an app created by goal.com company that provides the fastest live football scores and breaking news straight to your device. WHY THIS APP - Provides instant goal alerts, extensive match stats, head to head data, top players and teams and also lets you discover the planet's most in-form star through the top player feature. In nutshell, this app is the most complete football app on the google play store. fan base till date and over 35k+ awesome reviews. 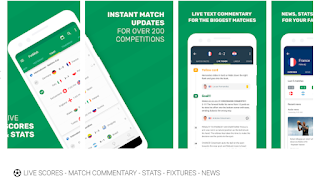 WHY THIS APP - It is one of the fastest and most reliable live score services that google play store offers to its users. A true football fan won't ever miss downloading this app. It offers features like live match information, free push notifications for matches, the latest match played by a team. All of the above-highlighted apps can be downloaded from https://play.google.com. So you can log on to the site or open pre-installed Google play app on your Android and search for your favorite live football scores app to download.